SALONBase is equipped with its own Gift Voucher facility, which can be used in the conventional way; allowing customers to purchase vouchers that can then be handed to another person to redeem at your salon. You'll also be able to convert your customers' Reward Points to Gift vouchers. 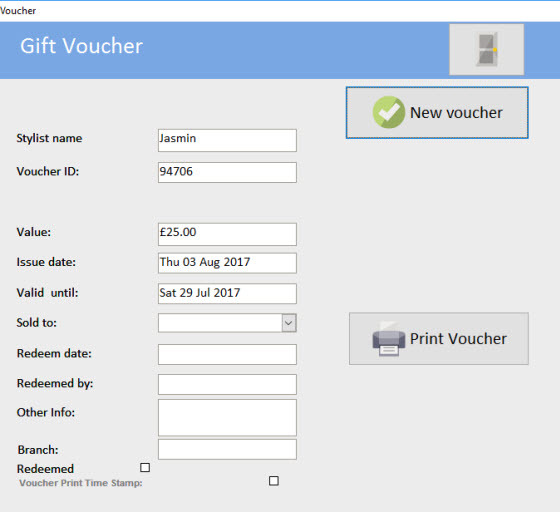 You can even use the Gift Voucher function to target customers you haven't seen for a while by simply sending them a low-value voucher to entice them into the salon (remember that the gift voucher doesn't cost you anything until they use it – and by then, your customer is back in the salon buying treatments and products!). Used either way, the Gift Voucher function can increase revenue and enhance a professional appearance.